(Clearwisdom.net) According to eyewitness accounts, on the morning of November 27, 2009, Mr. Wang Yonghang, a 36-year-old lawyer from Dalian in Liaoning province, was put on trial at the Dalian Shahekou District Court and immediately sentenced to seven years in prison for defending Falun Gong practitioners and "damaging the implementation of the law." Approximately 40 police and security officers were stationed around the courthouse. 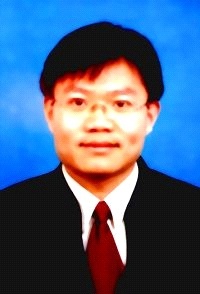 Mr. Wang had previously worked at the Liaoning Qianjun law firm. Since 2007, he has provided legal assistance to Falun Gong practitioners who have been detained by the authorities for practicing Falun Gong. In May 2008, Mr. Wang''s wife, Ms. Yu Xiaoyan, who is a Falun Gong practitioner, was illegally detained by police in Shanghai. He wrote an open letter to Communist Party-head Hu Jintao and Premier Wen Jiabao, challenging the legality of the decade-long persecution of Falun Gong practitioners and urging the authorities to immediately correct its mistakes and release all illegally detained Falun Gong practitioners. In July 2008, Mr. Wang published a more detailed online article analyzing the illegality of Article 300 - the provision most often used to imprison Falun Gong practitioners. He argued that Article 300 does not meet minimum international legal standards of clarity and specificity. Moreover, it is essentially nonsensical because simply practicing a religion or belonging to a religious group cannot obstruct justice or "undermine the implementation of the law," as Article 300 states. He also submitted his article to the Procuratorate and Supreme People''s court, urging them to correct their mistake so that Article 300 would no longer be used to unlawfully persecute innocent citizens who practice Falun Gong. As a result, the law firm terminated its employment contract with Mr. Wang, and the authorities revoked his license to practice law. On June 16, 2009, he represented Mr. Cong Rixu, a Falun Gong detainee, in court and pleaded not guilty for his client. This drew the ire of the communist regime again. On July 4, 2009, approximately twenty plainclothes police officers barged into Mr. Wang''s home, searched it, and took both him and his wife into custody. His wife was released the next day. Mr. Wang''s mother, who is in her late 70s, was also harassed and threatened. According to sources close to the case, Mr. Wang''s arrest was under the order of Zhou Yongkang, head of the Central Political and Legislative Committee, an organ directing central government legal policy and the legislative agenda. While being held in incommunicado detention, Mr. Wang was severely beaten, causing fractures in his right ankle. One of his legs has atrophied as a result of delayed medical treatment. On August 10, 2009, nearly one month after his injury, Mr. Wang was sent to the hospital for surgery. He was placed under tight surveillance by the State Security police while he was in the hospital. His wife''s request to visit him was turned down. Mr. Wang''s family hired two lawyers to represent him, but the authorities prevented them from meeting their client, citing that Mr. Wang''s case involved national secrets. The authorities also tried to bar the lawyers from participating in the court proceedings, but the lawyers insisted on being present at the hearing.